South Williamsport coach Chris Vanaskie really wished that the Mounties played Wellsboro not in the season opener, but rather later on in the season when he knows his team will be more polished and improved. But facing an extremely talented and fast Wellsboro team on Saturday was beneficial for Vanaskie and South WIlliamsport. He knew it’d be a good barometer to see how his team — which is fairly young — would fare to see where they stack up against one of the district’s best teams. Wellsboro wasted little time in that 6-1 win on Saturday getting things going against South Williamsport. The Green Hornets scored twice in the first 10 minutes of the game before South Williamsport was able to adjust and eventually put in a goal with 3:47 left in the game to make it a 2-1 deficit. “I think we’re pretty young and we’re still getting used to the speed of the game. Second half they definitely had that speed on our heels,” Vanaskie said after Saturday’ loss. But playing in a game like that against a solid possession-style team like Wellsboro, which is very fast and tough defensively, provides valuable takeaways for Vanaskie and his team as the season gets going. Wellsboro also benefits from an early-season test after playing the defending District 4 Class AAA champion Athens in the second game of the year on Tuesday, in which Athens and Wellsboro battled to a 2-2 draw in double overtime. For the girls, Montoursville decided to do same thing with a solid opponent early. Montoursville coach VIc Gorini wanted to bring in a quality opponent for the annual Burke Tournament this year and personally reached out to Holy Redeemer to see if their girls team would play. And it provided fans in attendance with an extremely exciting championship game and more importantly, a solid test for Montoursville after losing a handful of talented players to graduation. “We wanted to bring in a quality opponent and play in an exciting game that would test us and be a game fans would be interested in watching,” Gorini said. And it lived up to that. Montoursville’s Kyleigh Balint fed Maddie McDonald a ball late in the second half to tie the game in the 77th minute before it ended up going into a penalty shootout after double overtime in which Montoursville won thanks to penalty kick conversions by Anna Schult, Caroline King, Kenna Mensinger, Kaylie Schans and Bella Masias. South Williamsport may have let up two goals in the season opener for the girls soccer team against Bloomsburg, but credit goalie Alyssa Johnson with ensuring the Panthers didn’t score more than that. Early in the first half of that 2-2 double overtime tie, Bloomsburg routinely peppered Johnson, and she continued to come up with solid stop after stop en route to recording nine saves in the tie. In addition, Montoursville’s Avery Zales — making her first varsity start replacing Marlene Bassett — made six saves in a 1-1 double overtime game against Holy Redeemer in the Burke Tournament that the Warriors won in a shootout. Zales made a handful of stops in the shootout to ensure the win. Every year it seems there’s a play off a set piece early in the season that catches people’s eye. For this season, it happened halfway through the second half. After leading 3-1, Wellsboro’s Gabe Leach set up a corner kick and sent one inside South’s 18 right to Cameron Tennis, who headed it in perfectly. It all boils down to the success of routinely practicing not only scoring off them, but defending them, for the Green Hornets. All area coaches are encouraged to either call or email in scores and results after games. That helps ensure teams and players get recognition throughout the season. Results can be emailed to sportsdesk@sungazette.com or by phone at 570-326-1551. 1. 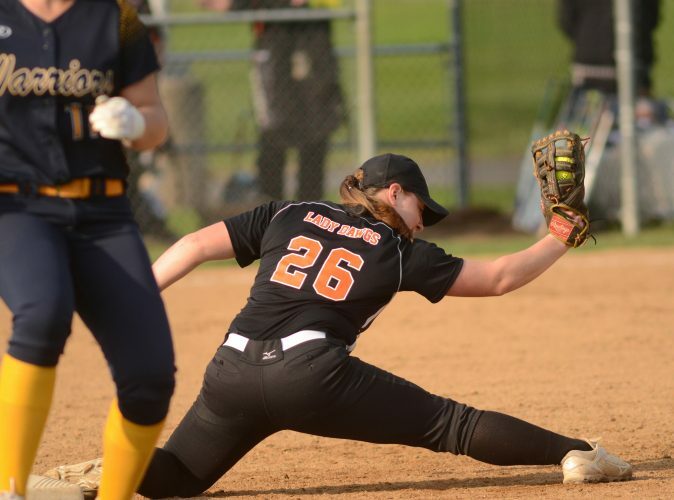 Lewisburg (2-0): The Green Dragons opened the year with two nice wins in the Central York Tournament on Saturday, first defeating host Waynesboro, 4-1, before blanking Central York, 1-0. Ben Liscum had a hat trick in the win over Waynesboro and had lone goal against Central York. 2. 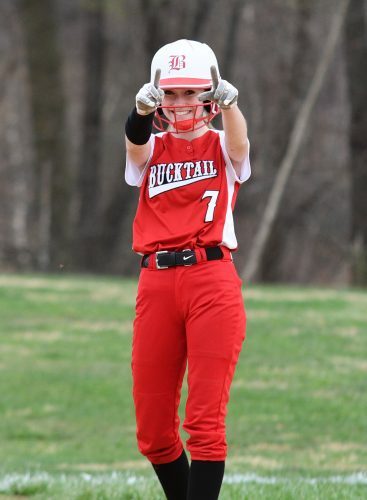 Williamsport (2-0): The Millionaires started the season strong with two wins, first defeating Loyalsock 7-2 before blanking Central Mountain in an early HAC-I matchup. And in those two games, Williamsport has had nine players either record a goal or have an assist. 3. Wellsboro (1-0-1): The Green Hornets were solid in their season opener, defeating South Williamsport, 6-1, before going to a double-overtime tie with Athens, 2-2, on Tuesday night in a big Northern Tier matchup. Wellsboro is a great defensive team and plays well possession-wise and should continue with that this season. 4. Warrior Run (1-1): Warrior Run opened the Mid-West Tournament with a 3-0 win over West Perry before falling against Midd-West, 7-1, in the championship game against the host team. Anderson Bieber scored a goal in both games, while Jordan Morrison and Tyrese Hazzoum scored in the opener. 5. Hughesville (1-0): The Spartans blanked Shamokin in their season opener, 9-0, and had a strong showing to begin the 2017 campaign on the right foot. Austin Lewis posted four goals and two assists in the win while Isaiah Savage had a team-high four assists. PLAYER OF THE WEEK: Tiarnan Ferry, Williamsport — As Williamsport coach Lee Kaar said after Tuesday’s win over Central Mountain, Ferry “is in a groove” right now. Ferry opened the year against Loyalsock by scoring two goals and followed it up with a three-goal, one-assist performance in a 4-0 victory against Central Mountain. 1. Montoursville (1-0): Montoursville only played one game in the annual Burke Tournament, but fans there got a great showing as the Warriors defeated Holy Redeemer in a double overtime penalty shootout. Montoursville overcame a 1-0 deficit when Kyleigh Balint fed Maddie McDonald the ball for the game-tying goal late in the second half. A solid win for Montoursville to start the season. 2. Loyalsock (1-0): Loyalsock defeated Mount Carmel 5-0 and got five goals from five players as Sam Stopper, Jenna Gardner, Charlotte Neylon, Eve Heilenman and Ariel Hornberger all found the back of the net. Heilenman had her first career varsity goal as well in the win. And having that many girls score in just the first game was a positive for coach Ben Comfort. “Having normal goal-scorers not even putting them in gives you a positive approach to rest of season,” Comfort said on Saturday. 3. Williamsport (1-0): The Millionaires, like their boy counterparts, beat Central Mountain in a HAC-I matchup on Saturday, winning 3-0 as Katie Penman, Aaryka Goodwell and Haley Witford all scored. Madison Bowman added two assists. 4. South Williamsport (0-0-1): The Mounties played the type of game you’d expect against Bloomsburg that ended up resulting in a tie after two overtime periods. Give the Mounties credit though, they battled back. The Panthers took a 2-1 lead going into half time, but with 12:20 to play, South’s Lela Warner scored the game-tying goal. 5. St. John Neumann (1-0): The Golden Knights came out with a huge win to start the season after going winless last year by defeating Millville, 3-2, to begin the 2017 campaign with a win. Gabby Lisi scored twice and Shayna McNamee added a goal for the Golden Knights in the win. It may not seem like a lot, but starting the year with a win is a step in right direction for Neumann. It’s not easy replacing a solid goalie, but Zales impressed in her first varsity start on Saturday. Zales recorded six saves in a 1-1 double overtime game with a tough Holy Redeemer team and made solid stops in the shootout for the win. Jon Gerardi covers high school soccer for The Sun-Gazette. Email comments to jgerardi@sungazette.com or follow him on Twitter @JonGerardi.